Comfort, confidence and control. The 2019 Corolla Hatchback is the complete package. 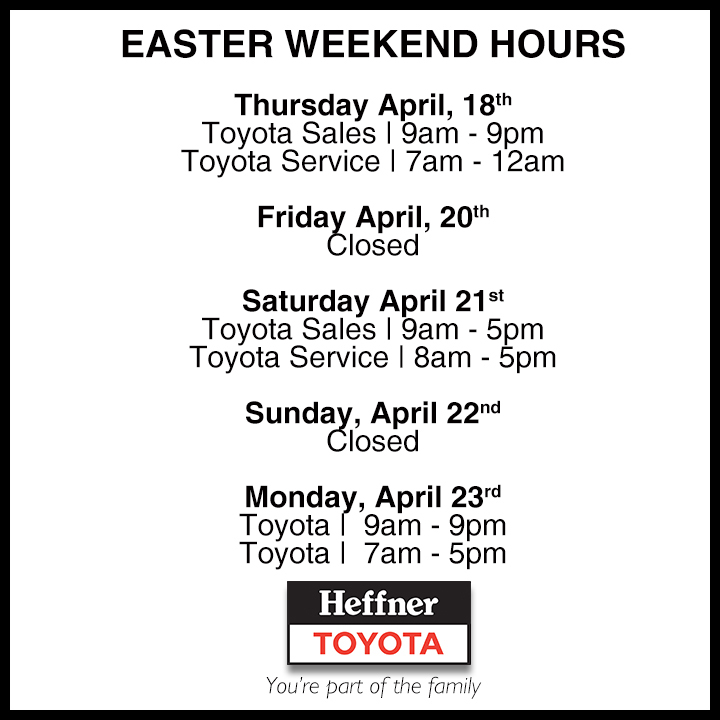 Based on Toyota’s New Global Architecture, its low centre of gravity translates into dynamic handling. 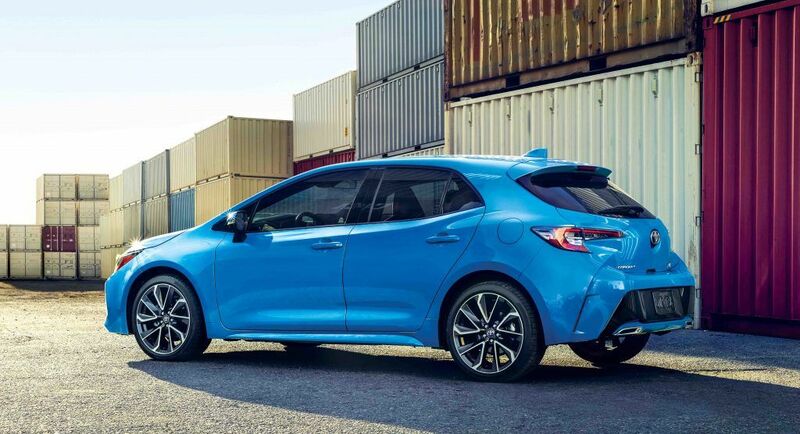 Coupled with exceptional body rigidity, multi-link rear suspension, and Active Cornering Assist, Hatch delivers a genuinely sporty drive with great feedback, quick response, and super stability. 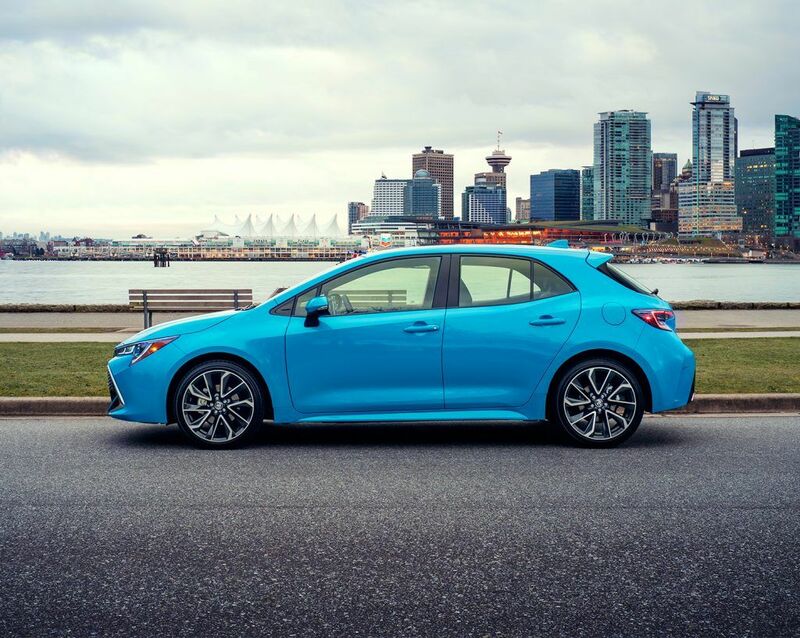 Power, exceptional fuel efficiency, and a lower carbon footprint — Corolla Hatchback’s all-new Dynamic Force 2.0-litre inline 4-cylinder checks all the boxes. 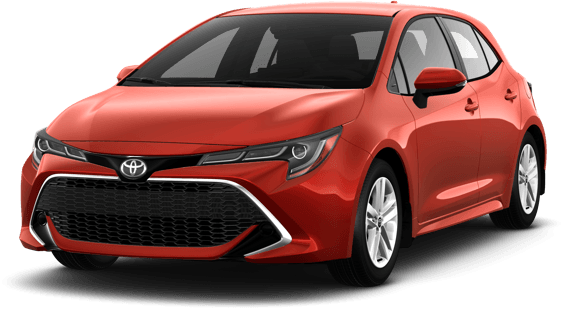 Equipped with advanced engine technology, including high-pressure direct-injection, Corolla Hatch generates an impressive 168 HP and asks only 6.7-litres (Automatic) and 7.5-litres (Manual) combined fuel efficiency per 100 km, all while reducing harmful emissions. 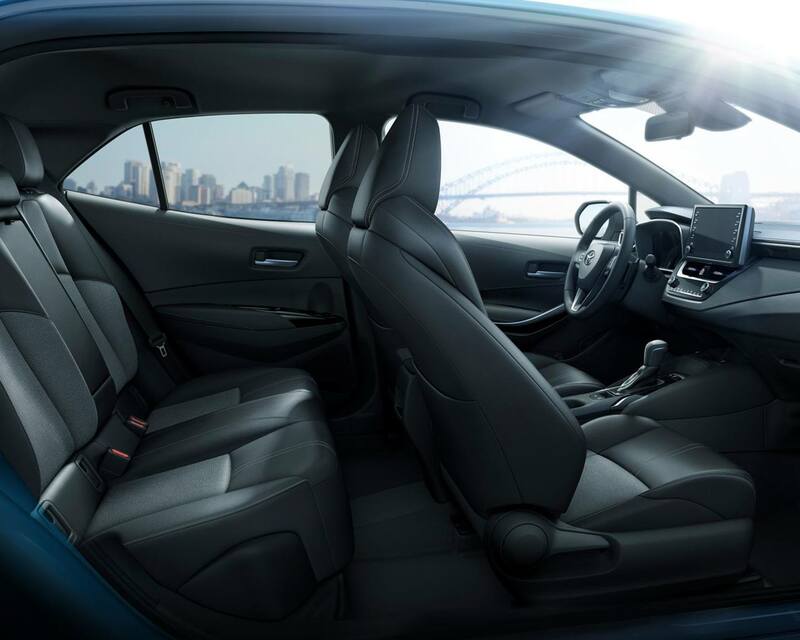 Corolla Hatchback’s interior is inviting and exciting. 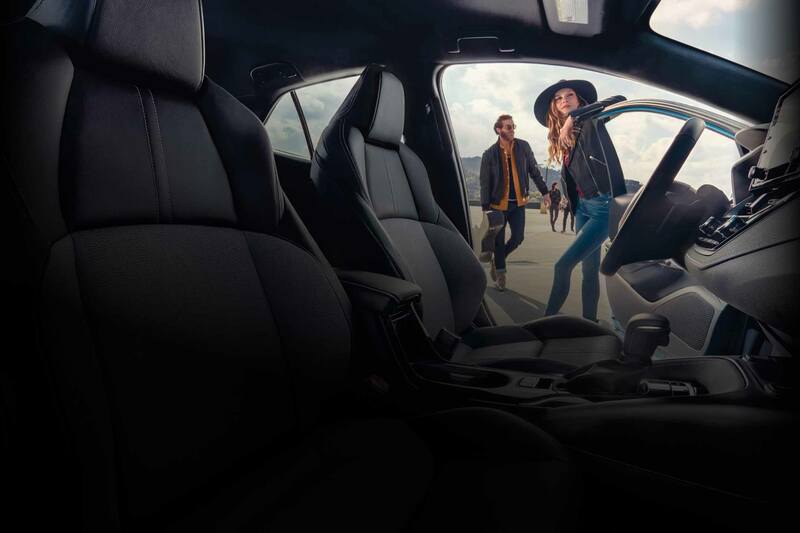 Its premium look and feel starts with high gloss accents set against soft-touch materials, including piano black trim and available Softex seats. 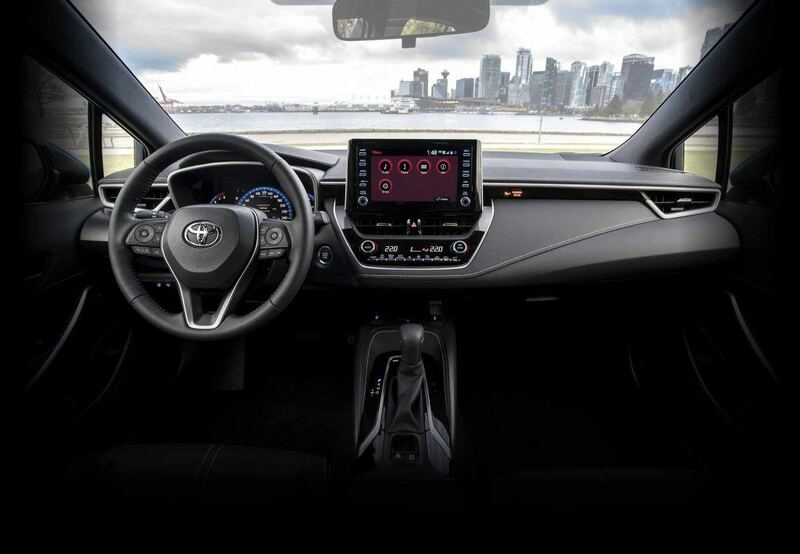 Automatic Air Conditioning is standard and comfortable sport front seats are designed to hold your body in a natural posture — with pedals, controls, and available heated steering wheel all within easy, intuitive reach. 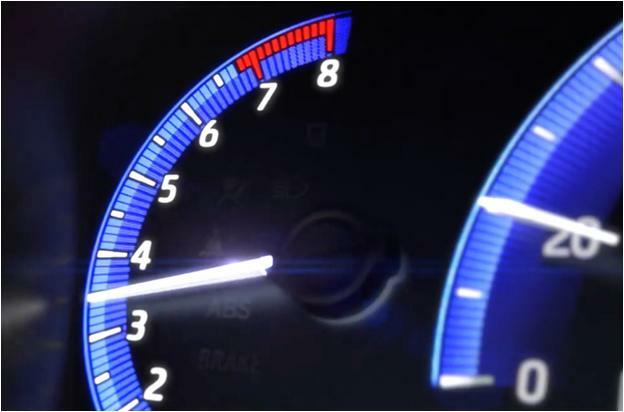 EntuneTM 3.0 keeps you connected to the content that matters to you – with Entune App Suite’s Slacker, Yelp, Sports, Stocks, Fuel and NPR One apps, along with apps for weather and traffic incident news. 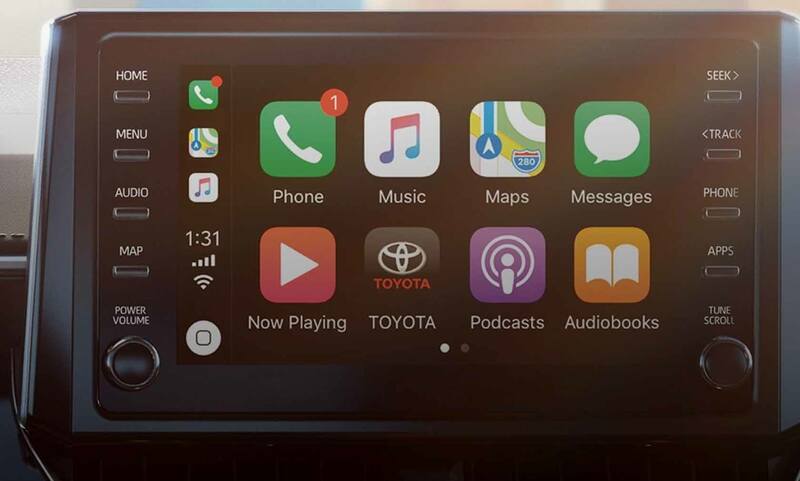 Entune also features Scout GPS Link that employs navigation from your phone if the vehicle is not equipped with embedded navigation. 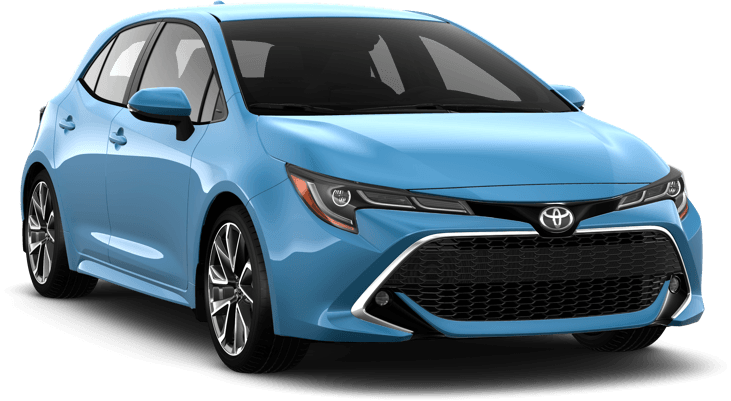 Corolla Hatchback features a 6-speaker audio system with BluetoothⓇintegration and steering-wheel mounted controls, along with an 8-inch Touchscreen which also integrates the backup camera display. Corolla Hatchback SE Upgrade and XSE packages take active safety to a new level with Blind Spot Monitor (BSM). BSM warns you when another vehicle is in your blind spot. 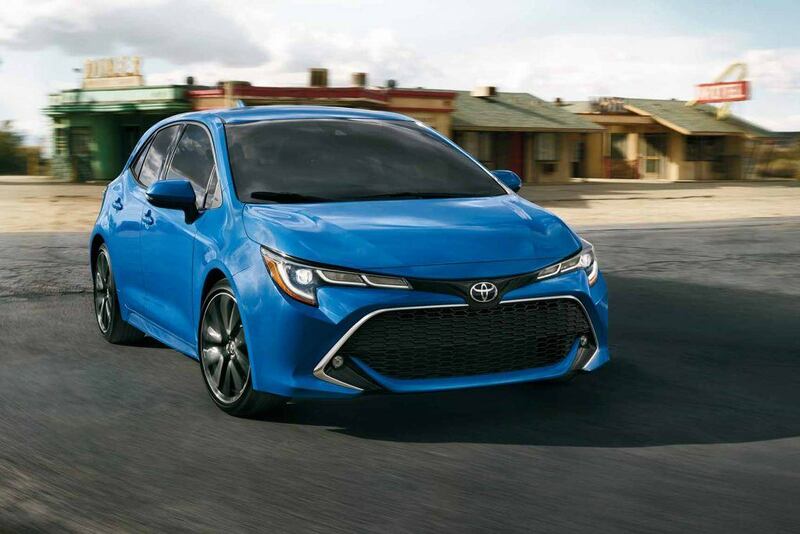 Your 2019 Toyota Corolla Hatchback is waiting. Build & Price yours today.